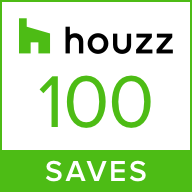 Our clients were keen to retain the character of their newly purchased period home, but modernise the space too. They were wanted a kitchen that was ideal for both family life and entertaining. We created one one open plan space, accentuate the beautiful bay windows and integrate the existing cream coloured Aga into the design. After opening out the separate kitchen and dining area into one large space, we opted for a classic in-frame shaker kitchen. These units are compllete with solid oak drawboxes and all dovetail jointed. A classic in-frame shaker kitchen style really lends itself to the dimensions and character of this home. It creates a fresh and more modern feel, whilst retaining a classic look. The Crofts & Assinder handles are the perfect finishing touch. The starting point for the colour scheme was actually the Aga! Our clients already owned and loved their cream Aga so wanted a predominantly neutral colour scheme to integrate it. To create a feature and provide a contrast, they did want to introduce a bright blue colour somewhere. 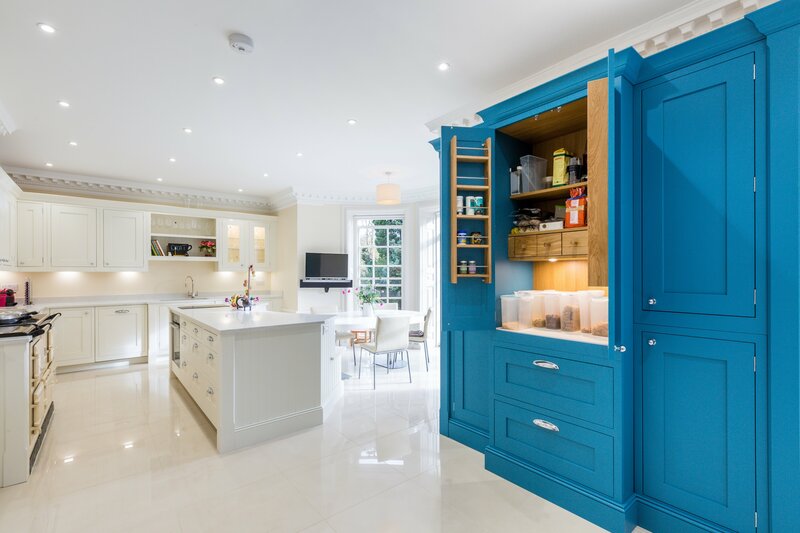 We used the large pantry to bring in the blue, it is in the first thing you see when you walk in the kitchen and looks fabulous in this colour. The pantry is a real feature and provides a great contrast to the rest of the kitchen. 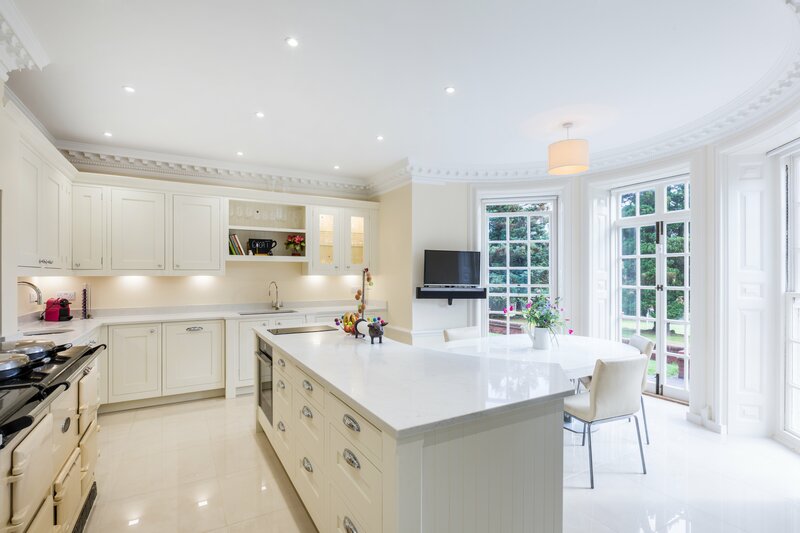 The real beauty in this kitchen is the bespoke feature island with integrated curved bench seating. 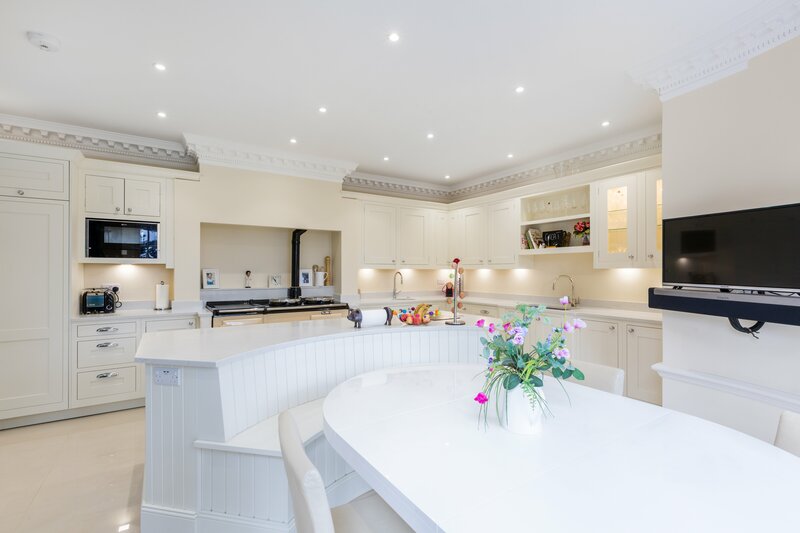 This was carefully designed to; mirror the stunning curved bay windows, accommodate the existing oval dining table, and really optimise the space for both a practical kitchen island and dining area. Mirroring the curve to the bay windows really accentuates the unique shape of the room. It also shows off the views to the outdoors, whether you’re working at the island or sat at the table. 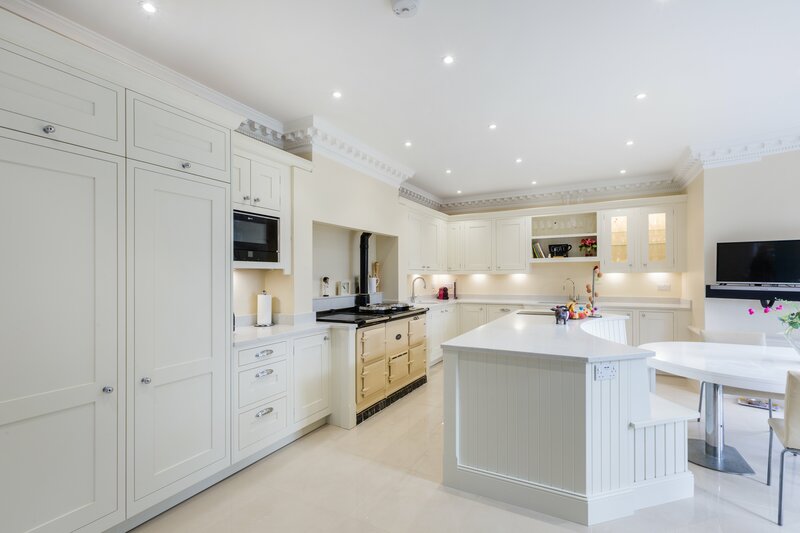 Browse our gallery for some more ideas or pop into our showroom to talk to us about your dream classic kitchen, drop us a line at info@kitchensbespoke.co.uk to make an appointment.